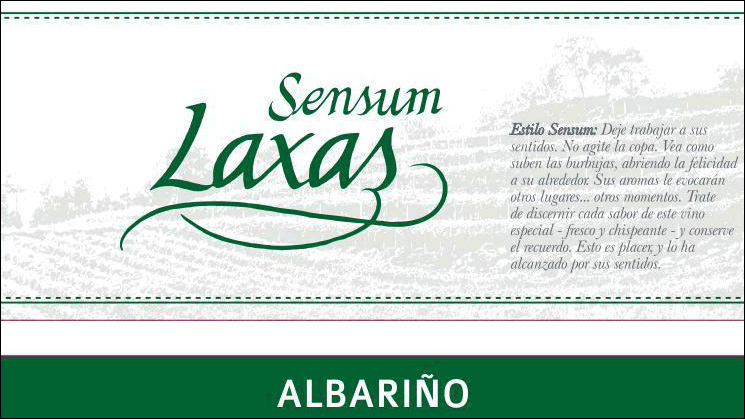 100% selected Albariño, defined by the traditional method (Champenoise), primary fermentation in tank followed by secondary fermentation in bottle after the addition of the liqueur de tirage, yeast and sugars, with at least 9 months ageing on lees before ‘degorgement’, the removal of yeast precipitate from the neck by freezing into an ice plug after remuage (riddling) and the addition of the dosage, the expedition liqueur, leaving a fine sparkling wine. Alcohol 12.5% abv. Residual sugar 8gr/l. Yellow colour with green reflections. Fine bubbles with persistent thread and delicate aromas of toasted brioche, patisserie, dried fruits and honey. Elegant and broad on the palate, feeling the presence of a persistent mousse of fine bubbles, crisp backbone, great finesse with notes of toasted brioche from the lees ageing, and a delicate range of flavours, melon, lime, peach, silky on the palate all kept in balance by a fine streak of acidity, good structure, long and persistent.